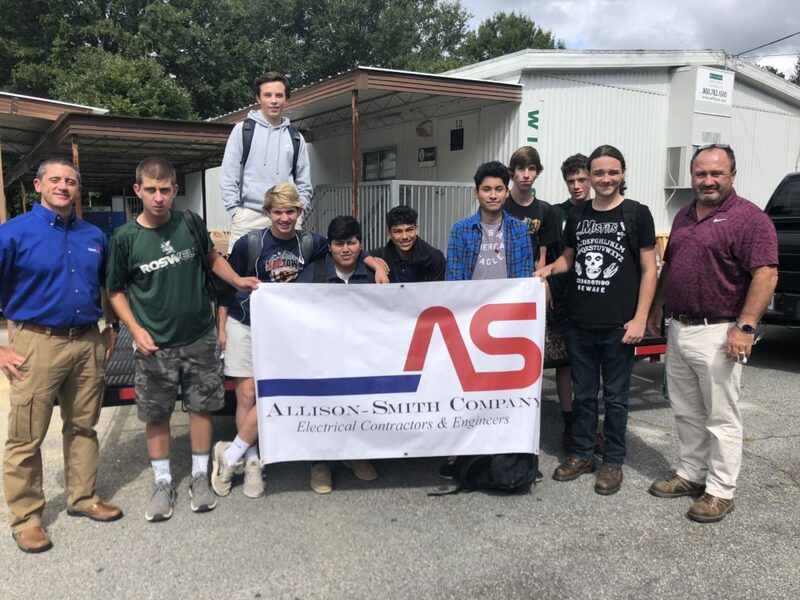 Allison-Smith Company has partnered with AECA (Atlanta Electrical Contractors Association) and Anixter to adopt Roswell High School’s electrical construction program. We will provide them with materials, tools, and information related to commercial and industrial electrical work. The students will also be educated on careers in the electrical industry including the electrical apprenticeship program. This partnership will bridge the gap between the workforce and the construction program at Roswell High School. Founded in 1943 the Allison-Smith Company has evolved from a premier Atlanta electrical contracting and engineering firm into a company with a national and international presence. Click here to learn more. © Copyright Allison-Smith Company LLC. All Rights Reserved. Designed and Built By: 24 Communications. If you would like more information about our services, please complete the short form below.